Curvatron has recently been released on Linux and the developer sent in a bunch of keys for you lucky people. 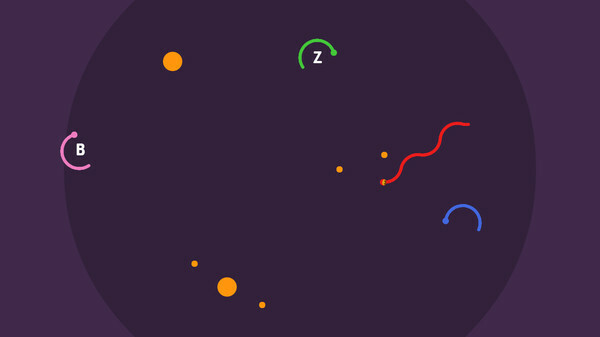 The game itself is inspired by the old game 'Snake' that was on rather old Nokia mobile phones. I tried it out and it works fine, it's a pretty interesting take on this very casual game! - Quick, bite-sized sessions. Can become quite addicting! Thanks! Got the fourth key! Always ready for a freebie but all gone!!! Well, 0.99€ isn't that much. But these people who won't even thank you. They should be ashamed of themselves. Man, I always arrive late for these things! Can anyone give any tips on how to stay updated for these kinds of stuff besides checking the website every half hour of every day? win8linux Man, I always arrive late for these things! Can anyone give any tips on how to stay updated for these kinds of stuff besides checking the website every half hour of every day? Does it work with the Steam controller? I don´t have a keyboard or mouse for my Steam machine.